Soine Fix Complex – 24 hours of brightening power from the roots to the ends. 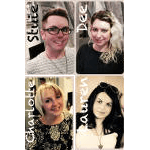 Multivitamin Complex – Rechange of antioxidant energy for the hair fibre. 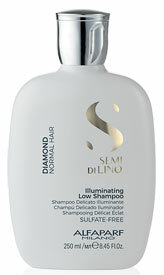 Illuminating, delicate shampoo for normal hair: gently cleanses and gives extreme shine, making your hair soft and silky. Illuminating conditioner for normal hair: detangles and gives extreme shine, making the hair soft and lightweight. Illuminating mask for normal hair: intensive conditioning treatment, promotes cuticle cohesion for extreme shine, making your hair soft and silky. 1. gives extreme, instant shine. 3. helps to protect against UV rays. 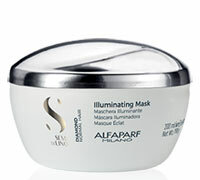 4. designed to protect the cosmetic colour. 5. prevents the formation of split ends. 7. counteracts the effect of humidity. 9. gives a soft and silky feel. 10. makes the hair easier to brush.